Friday, March 1, 2013 - The Kelowna Chamber of Commerce announces the appointment of the 2013 Chamber President, three new board members and welcomes back four re-elected members to complete the board of fourteen. 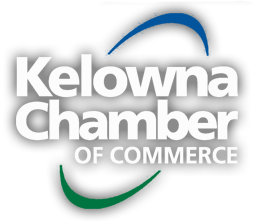 “The staff and enduring board at the KCC are happy to welcome new board members from the Kelowna business community. By engaging new leaders, we can create a team that continues to support positive changes for Kelowna and its business environment. We are fortunate to have such diverse and accomplished business people on the board who will continue to advocate on behalf of our members,” said Caroline Grover, CEO of the Kelowna Chamber of Commerce. Dave Bond, Partner with KPMG LLP with extensive experience in providing audit, accounting and business advisory services to public and private enterprises and the not–for–profit sector. In addition to being a Chartered Accountant, he is a chartered business valuator and has provided business valuations for private enterprises in a wide-range of industries. Dave has been a member of the Chamber Board of Directors since 2008. Before becoming President in 2013 Dave served as Executive Vice-President as well as being involved with various committees within the Chamber as well as in the community. Freedom Bannerholt, Chief Financial Officer for JDS Energy & Mining since 2008. Freedom is a senior accounting professional with over 20 years’ experience in both private and public practice. She has led accounting teams on large-scale Oil Sands projects, been responsible for municipal accounting compliance and was an instructor for college level accounting and finance courses. As one of the original members of the JDS team she brings extensive business and investment knowledge and assists JDS and their clients in managing the financial requirements of the company and as well as all projects JDS undertakes. Sherri Chapman, Owner of Platinum Personnel & Business Services Inc. Sherri has been a resident of Kelowna for over 30 years and can appreciate the enormous growth and changes that have occurred. Sherri started Platinum Personnel in 1999. As a business owner with many years of experience in human resource management she understands the challenges employers face when trying to juggle the many aspects of running a successful business. Andrew Gaucher, Operations Manager for Green Solutions – a Division of G Group Developments and Gazelle Enterprises Inc. Andrew began in the construction and land development industry with the founding and operating of Green Solutions Inc., a general contractor for single family homes. He now works in Operations at G Group Developments, managing roles in sales, marketing, finance and municipal management. Andrew holds the Kelowna TEDx license and enjoys running that event annually with the EDC Okanagan Young Professionals group. Andrew also volunteers his time as a board member of Entrepreneurs Organization Vancouver and Urban Development Institute Okanagan. The three new members join the existing eleven-member board that oversees KCC’s finances, member care, policies and practices, advocacy, committees and strategic planning. Visit our Board of Directors webpage to view all board members and to find out more. Click here for photos of the swearing in.